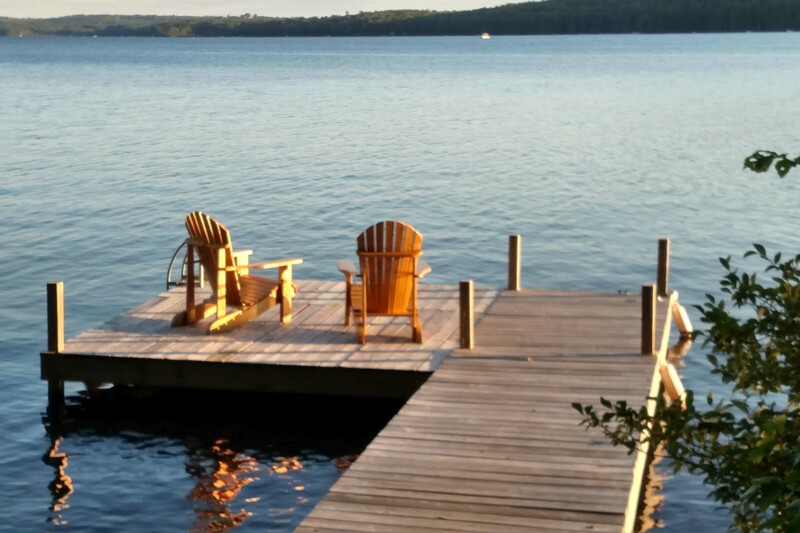 Situated on the southwest side of the island, the Woods camp consists of two cabins, each with its own gorgeous view and spacious dock. It is an ideal spot for large families or family groups vacationing together, who would like to be near each other but still have their own space. The Woods Cabin enjoys sun for most of the day. An open style living room features a fireplace, wide window views, and cozy sofas for reading, games and napping. 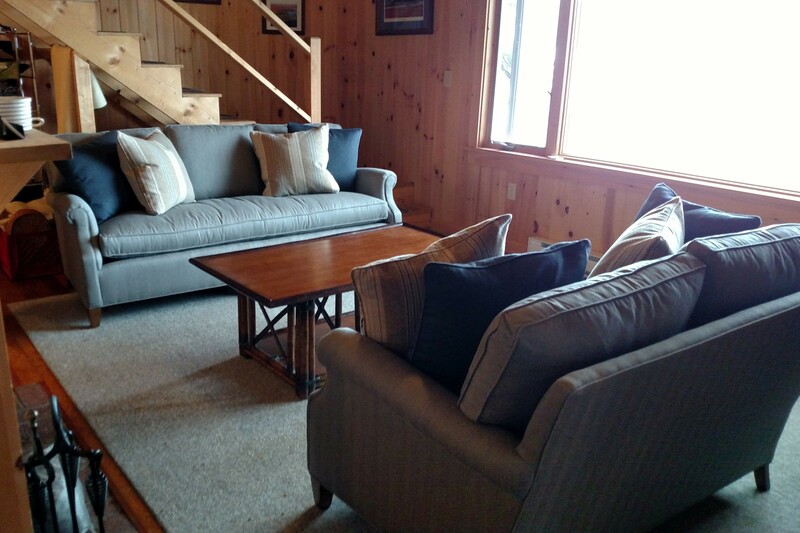 A dining area for coffee and games has a large table and comfortable chairs that look down the lake. The cottage sleeps up to seven so perfect for families with children of all ages. 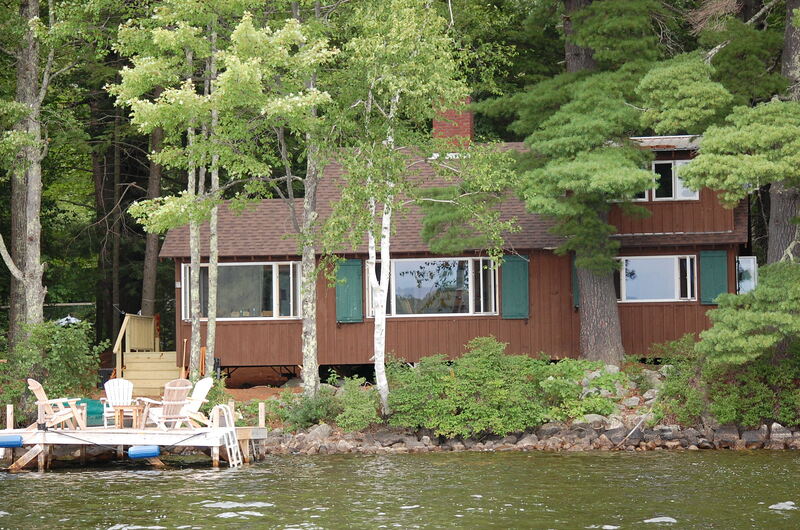 The master has a king bed and windows towards the lake. 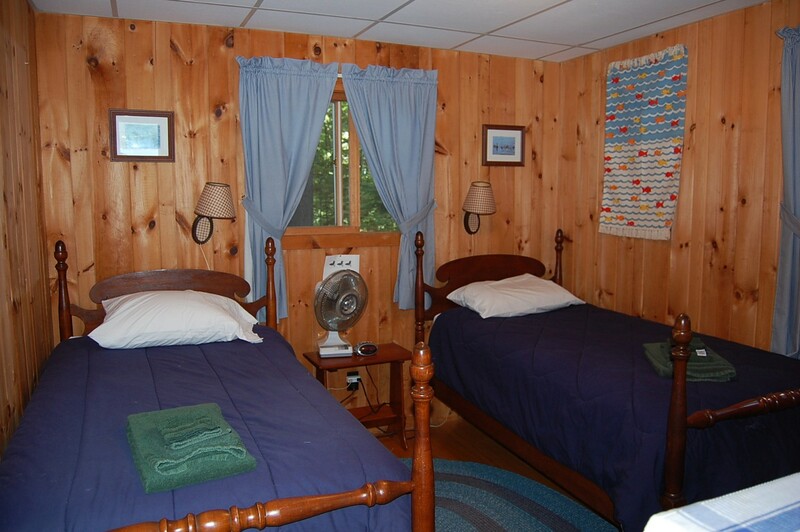 The second bedroom has a set of twin beds, and the spacious upstairs loft area has three twin beds and more views. The full bathroom is complete with a shower/bathtub. There is also a new kitchen - not that you need it with the Taconnet meal plan! 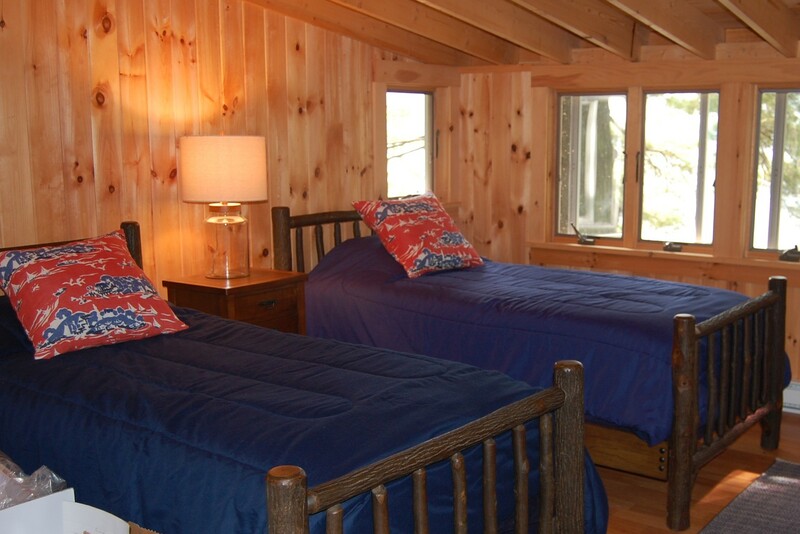 The Woods Loft has two bedrooms and sleeps four (one queen and two twin beds). There is also a loft with ladder access to two additional twin beds. There is a large sunny deck which is ideal for napping and gathering for pre-dinner cocktails. The cabin has a new bathroom and kitchenette. 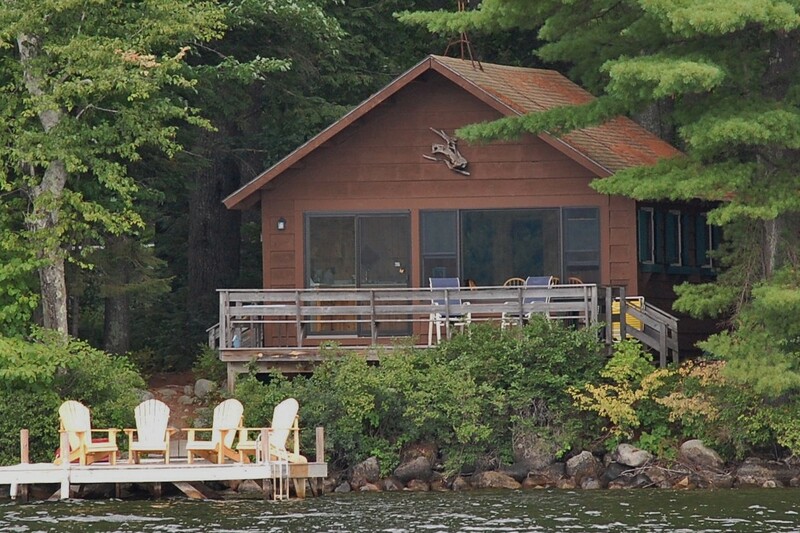 Both cabins have large docks, which are perfect for sunning, swimming, reading and afternoon cocktails. 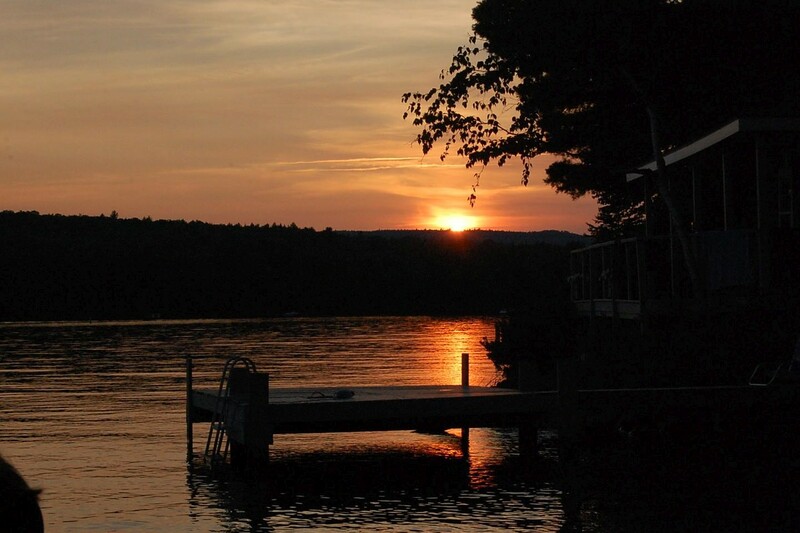 The open views face right down Great Pond, with those spectacular “On Golden Pond” sunsets. 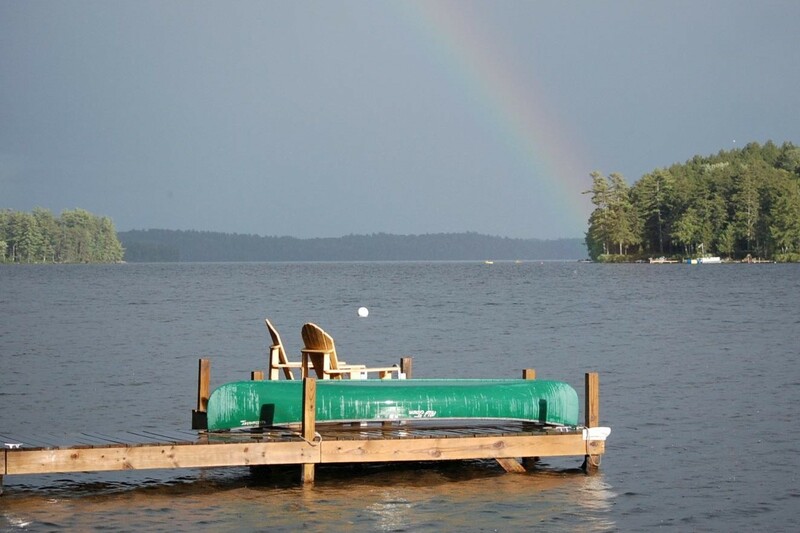 Also enjoy the use of the canoes, kayaks and windsurfer provided with the Woods camp.